MOBILE FLEET SERVICE clients can benefit from our independent assessment of vehicle defects and reduce their vehicle repair costs by utilising the manufacturers warranty before its expiration. All vehicle services are carried out as per the manufacturers schedule by our licenced tradesmen, therefore the vehicle’s warranty will not be affected. All work carried out by Mobile Fleet Service comes with our 100% satisfaction guarantee. 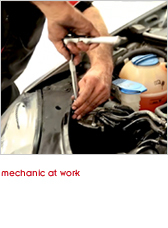 Cars and trucks that we service include Holden, Ford, Toyota, Mitsubishi, Isuzu and Hino. If for any reason a client is unhappy with our work, and the issue is not resolved swiftly and satisfactorily after it is brought to our attention, we will not only give a full refund of the work in question but the next service on that vehicle will be offered free of charge.